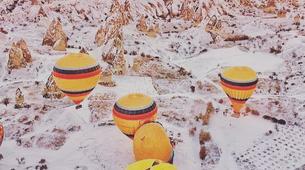 Live the dream and float in a hot air balloon above the magical world of Cappadocia as you experience the magnitude of its surreal landscapes sprinkled with fairy chimneys! 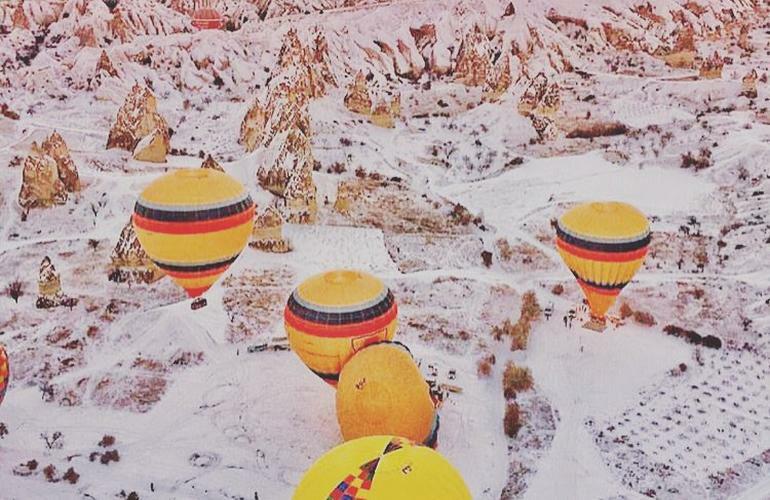 Without a doubt, Cappadocia is known to be one of the best areas in the world to fly in a hot air balloon. 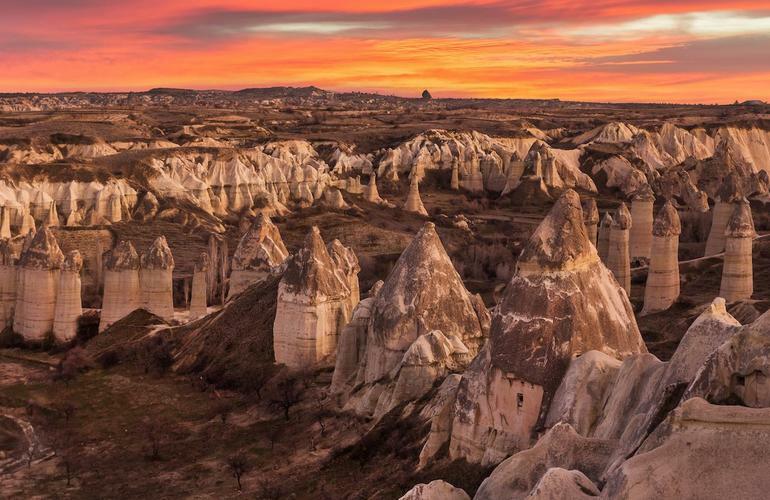 Famous for its fairy chimneys (towering rock formations shaped by wind, volcanic activity, and water erosion that took millions of years in the making! ), you’ll feel like you’re discovering a new planet on Earth. 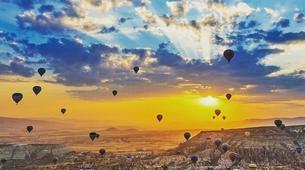 Early in the morning, you'll get picked up at your accommodation in Cappadocia and driven to the launch site. 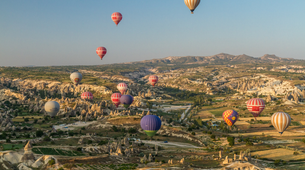 From there, you’ll meet your experienced hot air balloon pilot and listen to a brief safety orientation before you climb in your hot air balloon basket. 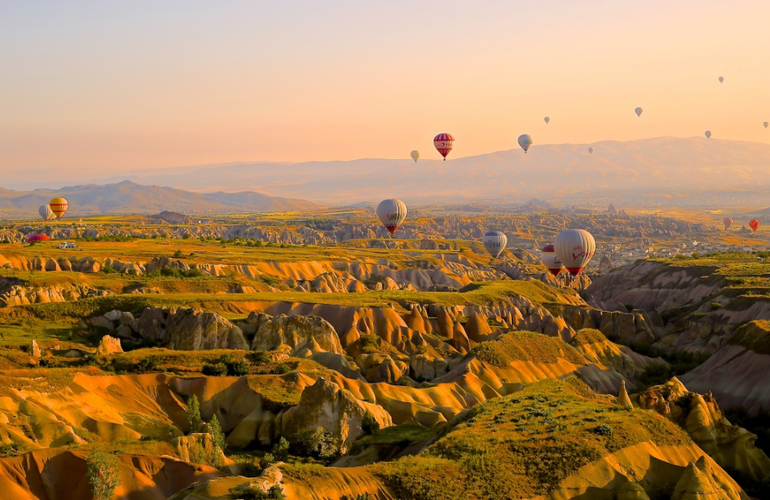 You’re ready to start your one-hour hot air balloon ride where you’ll slowly float up into the quiet sky as the world starts to wake up around you. 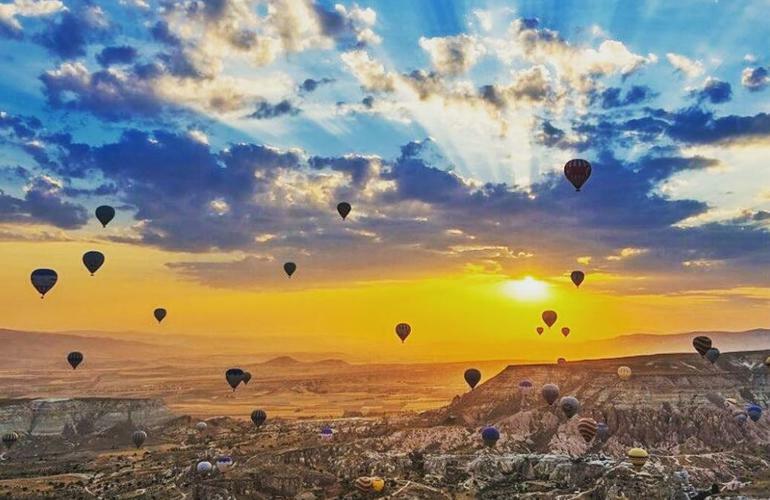 Gazing below, you’ll get to admire Cappadocia’s rare formations that is something to be experienced at least once in a lifetime! 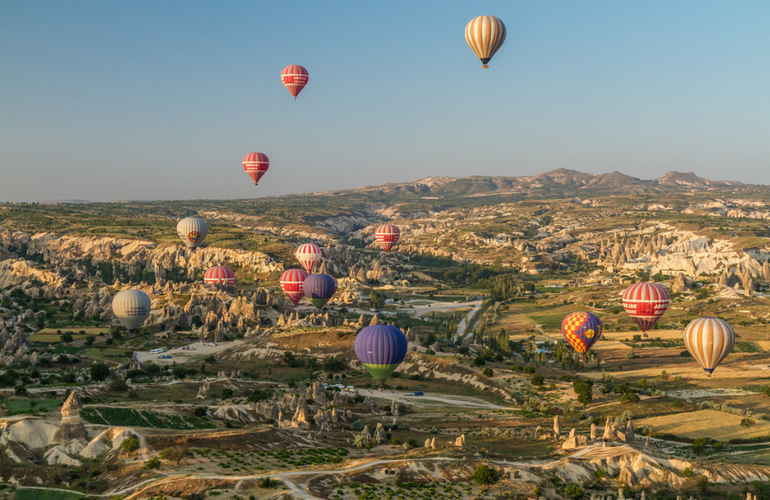 From its iconic fairy chimneys, volcanic spires to its unique villages, you’ll be sure to have one of the most spectacular aerial views of your life. 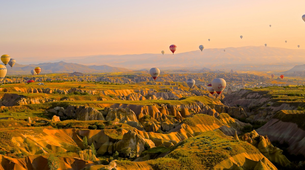 After one hour, you’ll gently descend back to earth as you’ll get a closer view of Cappadocia’s mind-blowing terrain and whimsical rock formations. 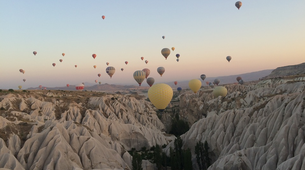 Hold tight for a smooth landing, and celebrate your spectacular hot air balloon trip with a souvenir certificate and a glass of champagne to end your trip on a high note! 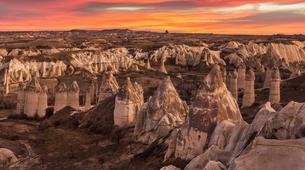 Please contact the guide after the booking to confirm the details of your hotel pickup and drop-off in Cappadocia. This tour is dependent on weather conditions. 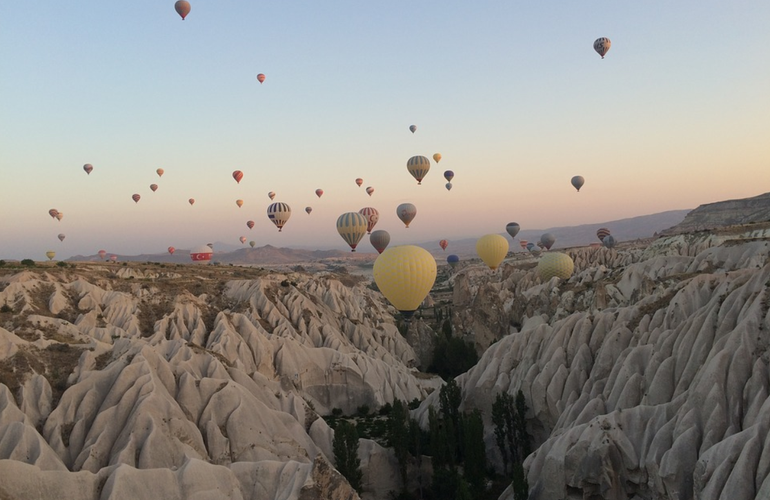 Your hot air balloon basket will hold approximately 12 - 18 people.